CP/CENT/IND. 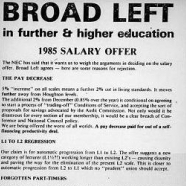 For opponents of the CPGB, one of the most disturbing features of British communism was its alleged manipulation of trade union grievances to promote economic chaos. These were bogeys that went back to the Party's syndicalist origins and were vigorously revived during the years of the Marshall Plan, when an extensive communist industrial presence was mobilised against the dominant western conception of industrial recovery. 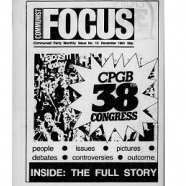 Though CPGB membership was by this time declining, such anxieties probably reached their peak with the industrial conflict of the 1960s and 1970s, as members and former members of an earlier vintage reached the pinnacle of their trade union careers. If Harold Wilson seemed to see a "tightly knit group of politically motivated men" behind disputes like the seamen's strike of the 1966, which at least confirmed the continuing industrial significance of the party. For those set on exposing or celebrating such machinations, the archives will be found to contain only fragmentary information. 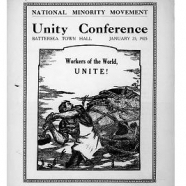 For the National Minority Movement of the 1920s, there is a file in the papers of its then general secretary Harry Pollitt, but little from the same period on the industrial activities of the party itself. 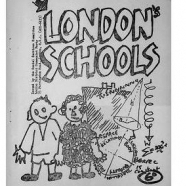 Nor, in this particular case, is the coverage as extensive as it might be in the post-war period. 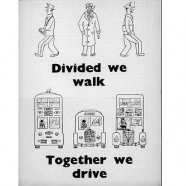 Doubtless the communists' networking and caucusing in the unions were sometimes more informal than opponents believed. Nevertheless, it is clear that they had also learnt the necessity of discretion in the compiling of written records of discussions of any sensitivity. 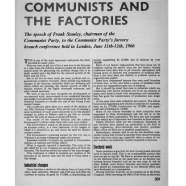 Bert Ramelson, the CPGB's national industrial organiser from the mid-1960s, was at the heart of these discussions. Famously, he boasted on one occasion that he had only to "float an idea early in the year and it will be official Labour Party policy by the autumn." 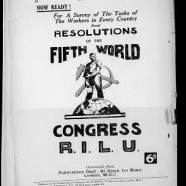 Again in Ramelson's own deposit of papers, the Needs of the Hour instructions that he circulated to communist delegates before TUC and other trade union conferences may be examined to test the validity of that claim. 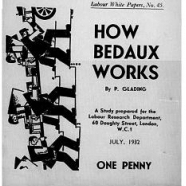 There is also much that is relevant in the papers of Wal Hannington, whose activities in the Amalgamated Engineering Union included several years as a national organiser in the 1940s. 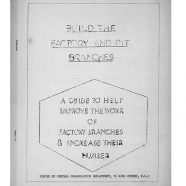 Again, the papers of George Matthews include files relating to the CPGB's industrial policies in the 1950s, and the archive also has transcripts of the ETU ballot-rigging trial (CP/MISC/ETU). 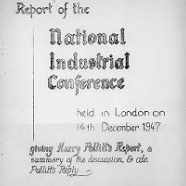 Though the Industrial Department files contain materials of interest for the party's final years, in general the record of its very considerable industrial presence needs to be traced through the papers of other key activists, officers and committees.